NEW LOWER PRICE! 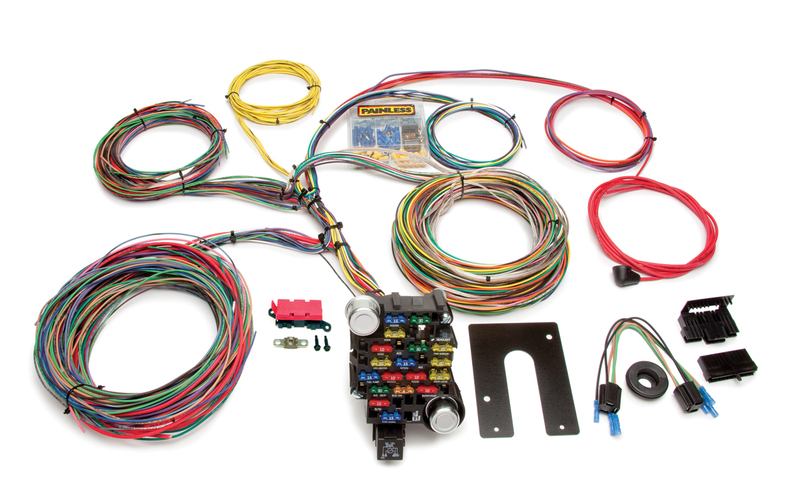 This Painless Performance 28 circuit chassis harness is our most widely used customizable automotive wiring harness. This universal kit is great for hot rod or street rod builds, but you'll find that it's easily adaptable to almost any vehicle including larger full size or muscle cars. This kit comes without the GM column mounted ignition switch connectors. Included with this harness are the following parts; a GM engineered fuse block & Painless mounting bracket; GM turn signal connectors; prewired plugs for the headlights & dimmer switch; and each wire is custom printed with the circuit identification as well as using GM color codes for easy installation.